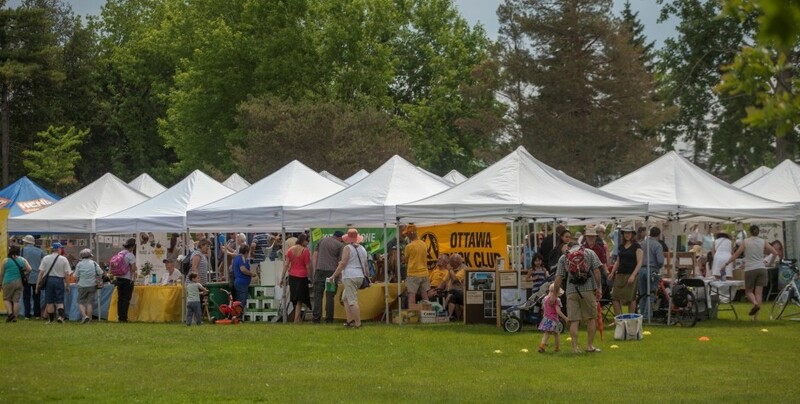 On Saturday May 30, 2015 Nature Canada hosted the third annual Bird Day Fair at Andrew Haydon Park. 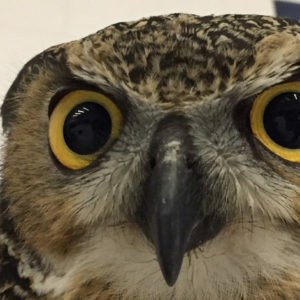 It was a day where Canadian’s welcomed back our migratory birds in a celebration of International Migratory Bird Day in the national capital region’s own Important Bird Area. 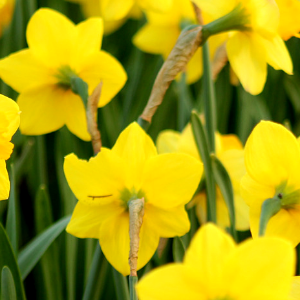 80% of the bird species that we consider Canadian birds leave our borders every fall and return every spring. 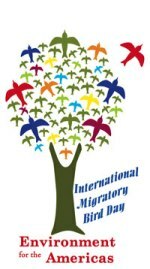 Bird Day connects communities across the Northern Hemisphere in a celebration of this incredible journey. Excited early risers joined Nature Canada’s very own licensed bird bander, Ted Cheskey in the early bird activity: a bird banding demonstration. Ted and his assistants caught an American Robin (pictured above) and a Song Sparrow. Bird banding is a popular research method used by scientists to study birds and learn about their migration and survival. 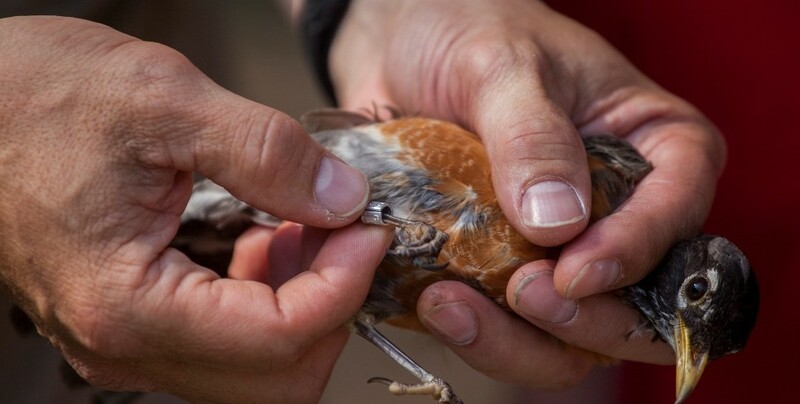 The information collected when the bird is captured along with the band number is shared on a central database that registered bird banders can access. Some birds are caught two or more times at the same or different locations. Participants at the event also had the opportunity to visit the Innis Point Bird Observatory’s booth and learn about bird banding first hand by being banded themselves. Each band shared a number with a bird banded at Innis Point Bid Observatory. You can see which birds were chosen and learn about their story here. 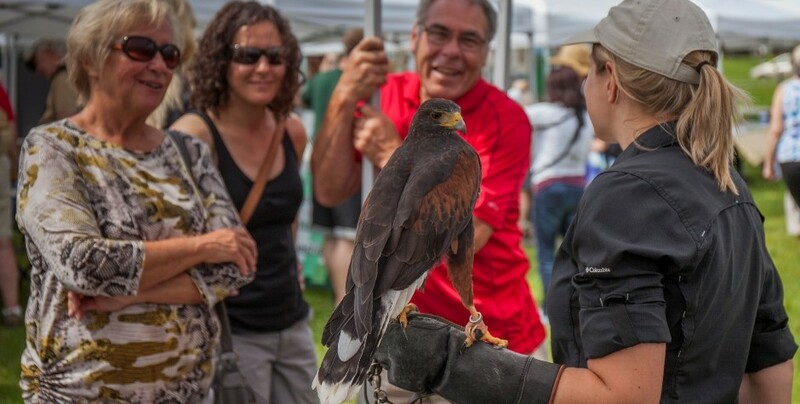 24 local groups hosted a booth at the Bird Day Fair to talk about the excellent work they do to protect wildlife and connect Canadian’s to nature and adventure in the city and beyond. 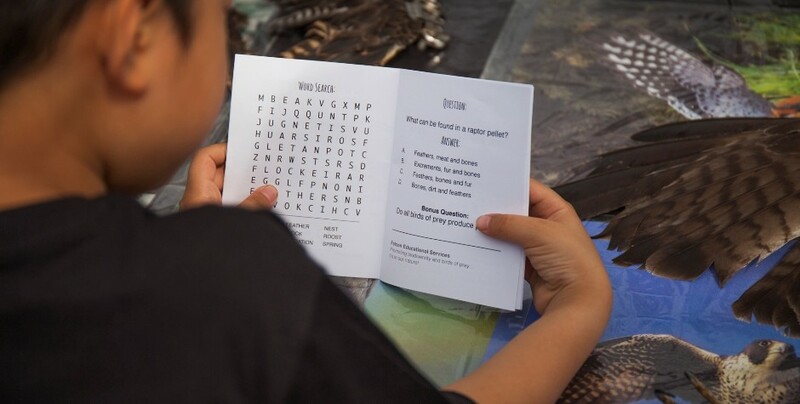 An activity passport encouraged children to visit the booths and ask questions. A correct answer was rewarded with a stamp or sticker, and children who answered all the questions visited the Nature Canada booth for a prize. Local artist Sally Lee Sheeks was back this year with her popular nest building activity. 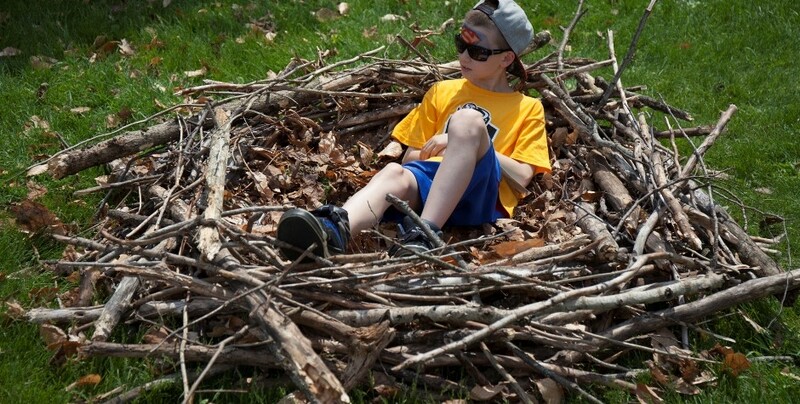 Children used sticks and branches to build a bird’s nest large enough for a person to sit in. Building a nest is more difficult than it looks, and the birds have to do it all with their beaks! A giant Eagle also joined the celebrations. 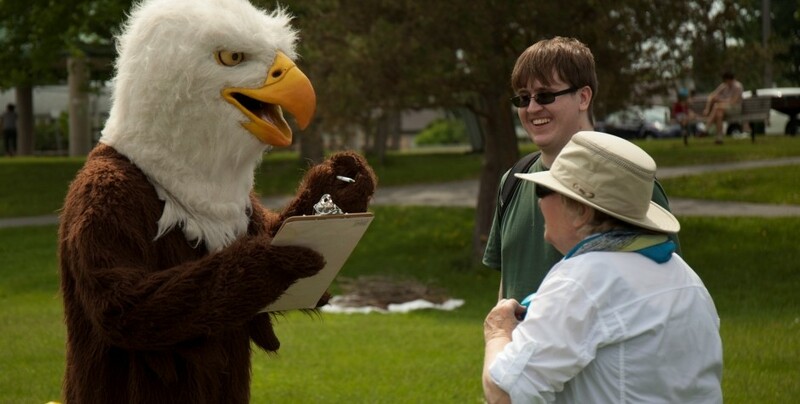 Although his day was busy posing for photos, here he is helping a volunteer take a survey. Surveys are an important way for us to learn about what we are doing right, and what we can improve on for next year. 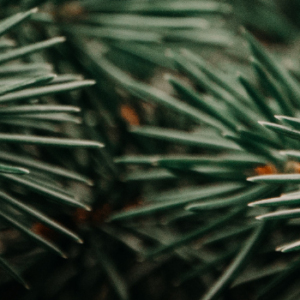 The feedback we have received on these surveys has been extremely useful, so a big thank you to everyone who took the time to share their thoughts. Falcon Ed was back with their live birds of prey. These birds are always a crowd favourite and wowed the crowd all day long at the Falcon Ed booth. Participants got to meet Phoennix the Harris Hawk (pictured above), Darwin the Great Horned Owl and Dexter the Peregrine Falcon. 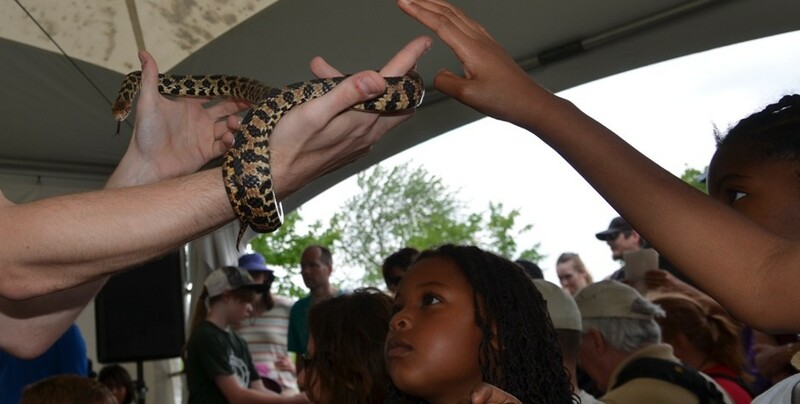 Little Ray’s Reptiles presented their “Endangered Ontario” show at the Bird Day Fair and captivated the audience. Their show featured 2 birds of prey, 2 ferrets, 2 snakes, 2 turtles an amphibian and a fox – all from Ontario of course! 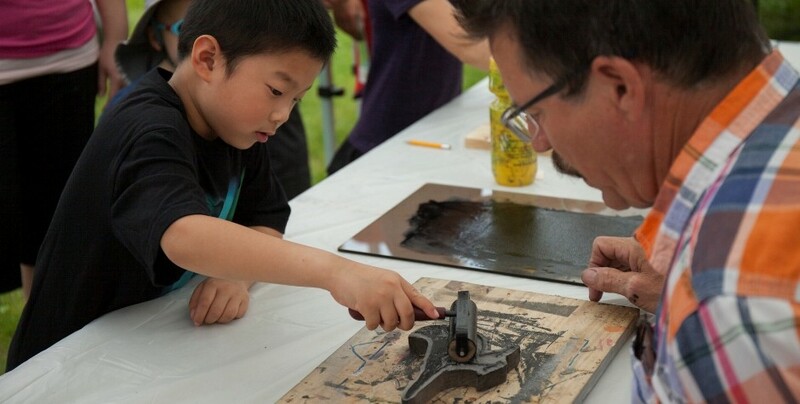 Young and young at heart alike got to try out their artistic skills with help from local artist Lyle Docherty in a print making activity. Lyle had prepared templates of an American Robin, a Blue Jay (pictured above), a Bald Eagle, a Common Loon and a Canadian Goose for people to create their own work of art. And the winner of the unofficial Bird of Ottawa Contest is ……… the Black-capped Chickadee! On April 25 CBC radio’s In Town and Out asked listeners and followers of the weekly Tweet of the Week segment to nominate their favourite. 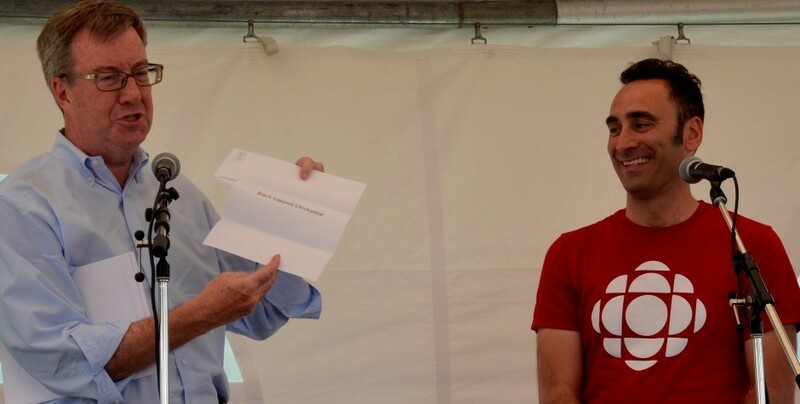 After a month of voting and over 3,300 submissions the winner was announced at the Bird Day Fair by Mayor Jim Watson and Giacomo Panico. The Black-capped Chickadee was the clear favourite with 42% of the votes. The Common Raven gained a great deal of support near the end of the competition, but was not able to overtake the lead, ending with 32% of the vote. A flock of migrating Flamingos go blown very off course, astonishing and amazing attendees of the Bird Day Fair with their coordinated moves. Young dancers from Lakeview Public School dressed as Flamingos made a surprise appearance at the Bird Day Fair to perform their Flamingo Dance choreographed by dance teacher Lindsay Mattesz. This performance was clearly a crowd favourite. 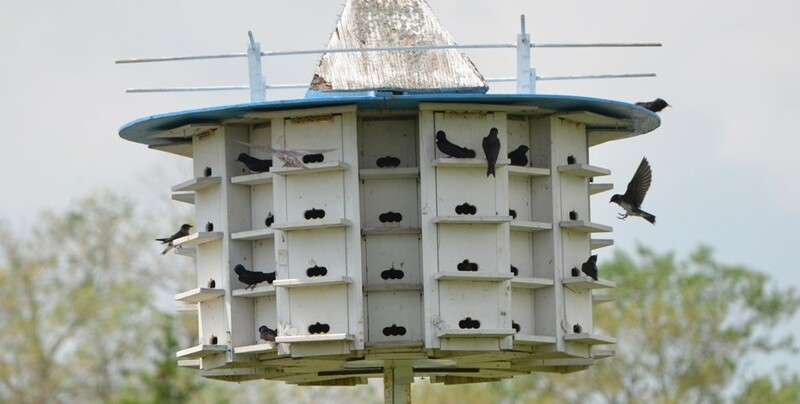 Nature Canada is working on the Purple Martin project, an international collaboration with Purple Matin landloards, university researchers, naturalists groups, and the Canadian Wildlife Service to help protect and recover declining Purple Martin populations. We are using GPS tracking devices to follow them on their migration journey to their wintering grounds in order to understand the risks they face. 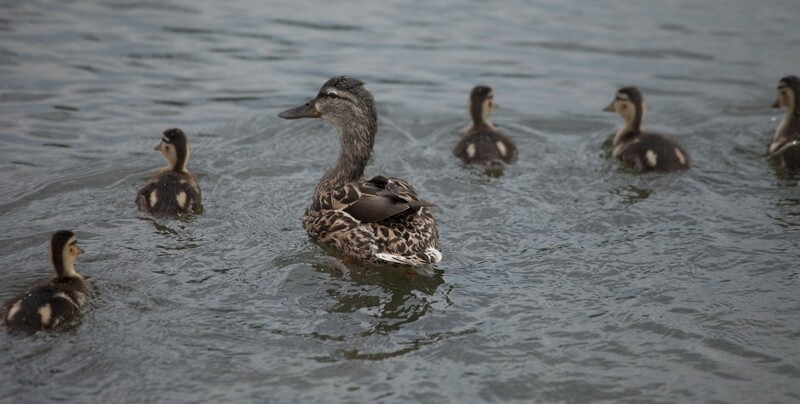 One colony that Nature Canada is studying is just a short walk from Andrew Haydon Park at the Nepean Sailing Club. A guided walk led by the Purple Martin project coordinator gave people the opportunity to see these birds up close and in action. If you look closely you just might be able to see a tracking device or a coloured leg band on one of these birds. 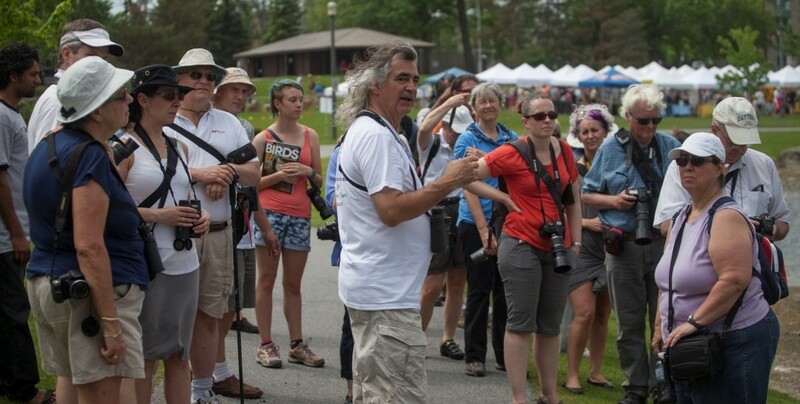 Participants at the Bird Day Fair were invited to join a guided walk to learn the basics of birding, get some tips to improve their nature photos and more. And what’s a Bird Day Fair without bird watching? This family of ducks posed for the cameras. Some other species that we expected to see at the park are; Purple Martin, Tree Swallow, Yellow-rumped Warbler, American Redstart, Ring-billed Gull, Killdeer, Canada Goose, American Goldfinch, Yellow Warbler and Hooded Merganser. Thank you to our Event Partners and Sponsors who made this day possible!